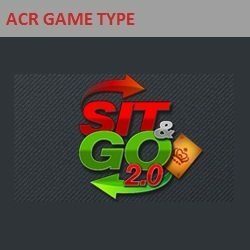 Sit-and-gos have more or less remained the same for quite a few years now, but Americas Cardroom shook up the landscape with its SNG 2.0. Released in March 2017, it’s a nine-player contest that uses a random mechanism to give players a chance to grow both the prize pool and the number of participants who get paid. The base payout arrangement in SNG 2.0 is to award seven times the buyin between the first and second finishers. This has a chance to increase, however, because of the pre-game phase that the nine players go through. Everyone picks a face-down card from a pile in the middle of the table. Twenty-six of these cards are colored red, 26 are green and three are gold. Someone is then chosen to reveal his or her card. If it’s red, this procedure is at an end, and the prize pool doesn’t increase. If it’s green, then the payouts get a modest bump up, and the next player then shows their card. Consecutive streaks of green cards will make the cash prizes get higher and higher. Any red card appearing will end the sequence and terminate this part of the action. When a gold card appears, it doesn’t count as either red or green, but any current series of greens will be uninterrupted, and the next individual will proceed to display his or her card like normal. Anyone who receives a gold card will get to draw another card after the entire table has acted assuming that nobody got a red card. What the gold cards do is unlock jackpots. There are three of them: Mini Jackpot, Medium Jackpot and MEGA Jackpot, and they’re activated by the appearance of one, two and three gold cards respectively. In order for a jackpot to hit, the right number of golds must be uncovered, and nine green cards must have been shown. If a single green card turns up, then the sit-n-go prize pool is beefed up to what’s normal for SNGs: 4.5 buyins for the winner, 2.7 for second place and 1.8 for third (50%/30%/20%). The next step up is 11 buyins paid out with four people getting money. The highest three prize schedules pay the entire table. If your table is fortunate enough to see nine green cards, then the prize pool will be 30 times the buyin, and the winner will be rewarded with seven and a half buyins. The Jackpots come into play when nine green cards and some number of gold cards are present. They’re funded by a portion of each buyin The Mini Jackpot is 10% of the total. The Medium one is worth 25%. The MEGA Jackpot contains 75% of the entire jackpot sum. Notwithstanding these figures, at the lower stake levels of SNG 2.0, the amount that the jackpots can award is reduced to account for the fact that the contribution to the jackpot pool is smaller. To learn how to open an Americas Cardroom account, consult our main review of the Americas Cardroom bonus code. Want to play SNG 2.0? Join Americas Cardroom here!